Extra! Extra! This summer, Stampin' Up! hostesses get extra hostess awards in addition to the already fantastic hostess benefits! 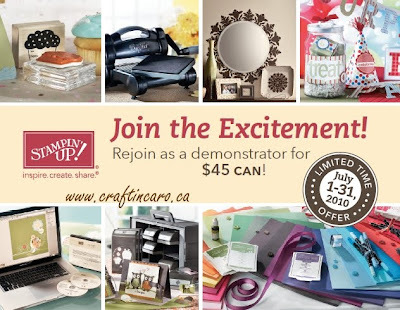 From July 27 to August 31, you can earn an EXTRA $35 to use toward Stampin' Up! products of their choice when you host a workshop totaling $450 or more. This workshop can be held in your home, my studio, or can be a virtual "party" when you gather orders together from you and your friends! 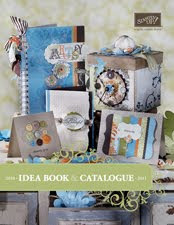 * A free 2010-2011 Idea Book & Catalogue worth $11.95! * Free stamp sets only available to hostesses (with qualifying orders; select from the products on pages 10-16 of the Idea Book & Catalogue)! * Free Stampin' Up! products of your choice! How much does Stampin' Up! LOVE their demos? Because I'm in SUCH a fabulous mood today, I've decided to offer FREE SHIPPING on all my customer's Stampin' Up! orders from now until the end of July! No matter where you are in Canada, you too can take advantage of this sweet deal to stock up on new catalogue goodies! Why am I so happy, you might ask? Last night I learned that I have earned a place in the prestigious Founders Circle award for the 5th year in a row! Not only did I place for the #1 in Sr. 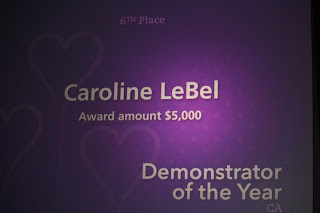 Associate Promotions award, but I also earned the #6 Demonstrator of the Year spot -- boy, was I ever excited!!! My heartfelt thanks go our to all my fabulous customers, hostesses, friends and of course the awesome women in my "Canadians, INK!" team... 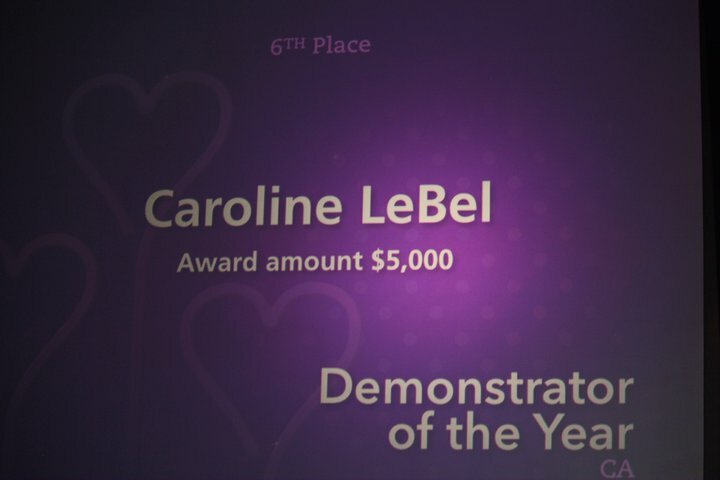 I would NOT be in this position without all of YOU. YOU are why I love being a demonstrator, through the rocky times and the good ones too. Many of you know that this past year has been a particularly difficult with lots of health issues and family "stuff" to take care of. I have especially appreciated everyone sticking with me through it all; your support has meant the world to me. It's that time again... a new catalogue means fabulous new Designer Papers and don't we want them ALL? Of course we do...but you who wants to spend hundreds of dollars or need THAT much paper all at once? Instead, try my paper samplers as they're a great way to have a bit of it ALL without breaking the piggy bank! Here is how it works: When 8 of you sign up for a paper sampler, I order one of each of the Designer Papers in the Stampin’ Up Catalogue. I then cut them all up, sort them out, so that you will receive one 6×6 sheet of every Designer Paper to play with! There are 16 Packs of Designer paper and you will get one 6×6 sheet of each paper design, giving you a big stack of 96 sheets of DSP! 4 of the packs are Specialty style, so they have flocking or gloss or something special on one side. 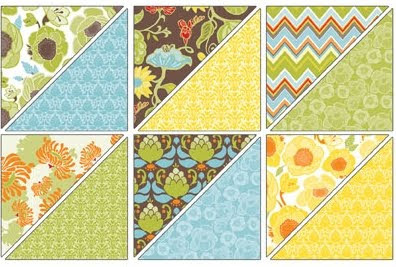 There are 5 packs of the Patterns DSP this year and they are packaged a new way! Stampin’ Up is offering paper stacks of our 5 colour groups, so you get more colours in one pack! The IN COLOR pack has 40 sheets, 4 each of 5 colours. 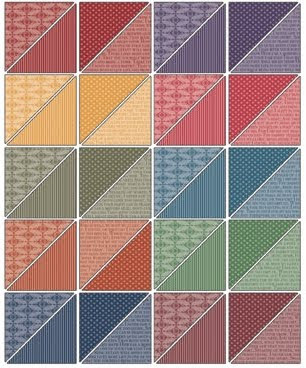 The Brights, Subtles, Regals and Neutrals all have 40 sheets, 10 colors in each pack, 2 each; each pack has 2 sheets with double-sided designs. You will get one 6×6 of each colour and design for a total of 100 sheets (4 of the In Colors and 2 each of all the rest). That's 45 monochromatic colours in all! These new paper ‘stacks’ have a glue padding (like a notepad) on one end. That means when I cut it up 4 ways, 2 of you get sheets that are already padded together. Class schedule for Summer, Fall & Winter! Saturday October 2 - STAMPIN’ PALOOZA! All day event with 10 projects, food, fun & more! Cool new products - Part 9: Concord Crush! If you’ve been waiting for a truly magnificent, deep grape purple colour... wait no more! One of our 5 new In Colors this year is the gorgeous Concord Crush, this fabulous royal purple that is sure to delight! If you want to pick up all 5 of our great new In Colours, be sure to pick up our new "Card stock and Classic Stampin' Pad kit" -- it's like getting the card stock for free when you purchase this kit! 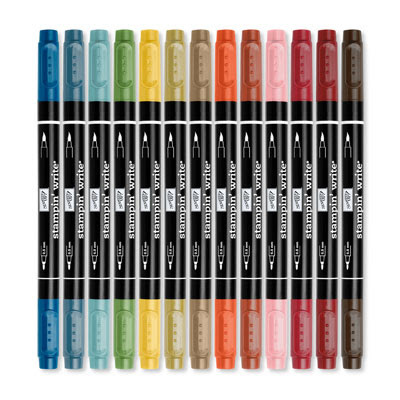 Cool new products - Part 8: New Markers Kit! If you already have the old Many Marvelous Markers kit and want to switch out retired colours for new colours, you'll want this kit. It includes all the new core colours and even has a handy dandy updated insert for your Many Marvelous Markers case! Don’t yet have the new Many Marvelous Markers kit yet want it bad? Stay tuned... I’ll be starting up a new MARKER CLUB in August which will give you a chance to get your complete set over the course of 4 months! 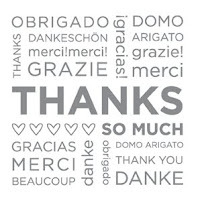 Wednesday July 14 - Thank You Cards! 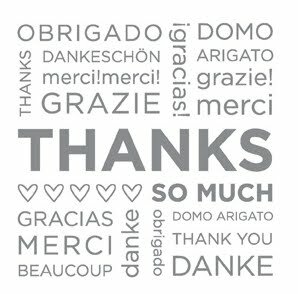 - Make 5 different Thank You cards with matching envelopes; class includes your own So Many Thanks stamp. $25 per person. 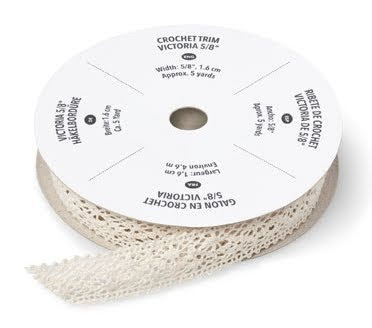 Cool new products - Part 7: Victoria Crochet Trim! Add vintage charm to your projects with this beautiful, high-quality crochet trim. Tie it, dye it, knot it, gather it, or stitch it--with 5 yards in each package, you’ll have enough for many projects. 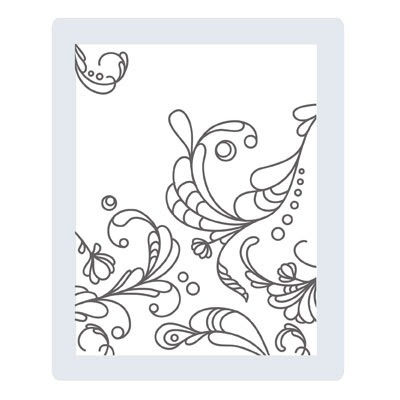 Cool new products - Part 6: Elegant Lines folder! Stampin’ Up!’s exclusive Elegant Lines Textured Impressions Embossing Folder creates a deeply embossed image on card stock and paper. The die embosses one side of the paper and debosses the other side, so you can use either side, depending on the look you want to achieve. You can emboss an entire card front edge-to-edge or create a large embossed image! 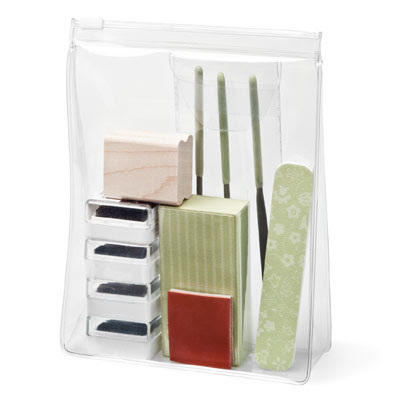 Cool new products - Part 5: Distressing Kit! Cool new products - Part 4: Jewels! Jewels are just as magical in papercrafting as in fashion. Add a pearl here, a rhinestone there, and your projects take a subtle step up. 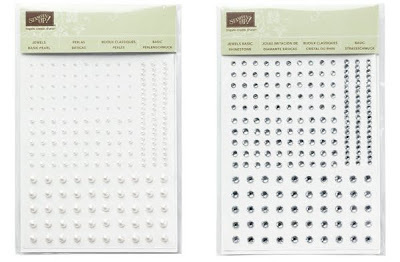 With our rhinestone & pearl basic jewels, it’s easy to add a touch of class to your projects in an instant! 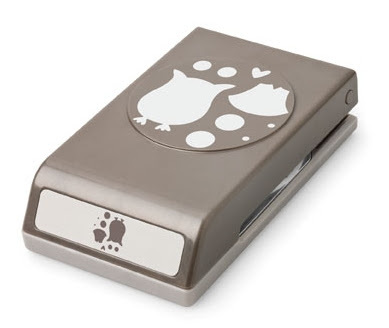 In one quick move, our Two-Step Owl punch cuts out all of the pieces you need to build an owl. It couldn't be easier to create a great accent or focal point: just punch and then layer the pieces! ■ Can be stored in our newPunch Caddy! Cool new products - Part 2: Early Espresso! One of the most versatile new colours released this year has GOT to be Early Espresso. This deep and luscious brown is so sophisticated and warm, it will definitely become a quick staple for all stampers. Available in ink pad, refill, marker, cardstock plus a variety of ribbons format, get it soon so you can start playing with it FAST! 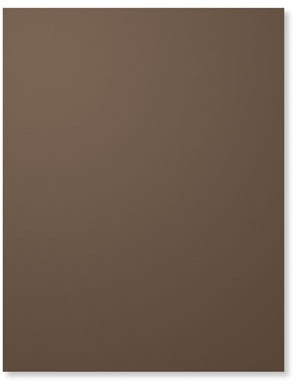 You'll find this colour a great alternative to using only Basic Black or Chocolate Chip for your dark neutrals. Join me for July’s Open Stamping Nights! Get out of the house this week to get some stamping done! Be sure to come and join me Thursday and Friday for July’s Open Stamping Nights as it’s a great chance for you to play with new products and stamp with friends new & old! a fun & functional water bottle drink tag -- a perfect project to use for your summer gatherings! Please note, you do NOT have to be a Stampers Club member to join in. The class is FREE to anyone with a $25 order (placed that night) so be sure to RSVP your attendance. 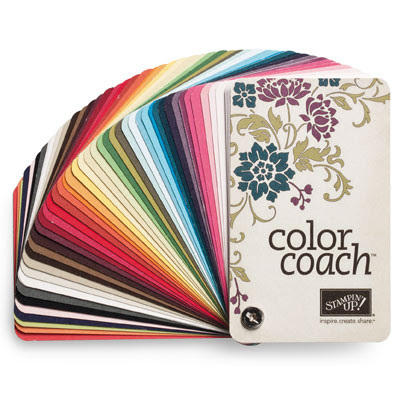 Let this Color Coach help you put together custom colour schemes to express your unique creativity. Whether you want a quick reference of all colours in a collection, a card for every colour, or blank cards to record your own colour combinations, this swatch book is for you! 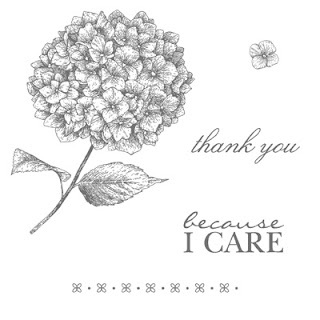 Receive this great tool FREE from me as a special gift when you purchase your Stampin’ Up! Starter Kit through me this summer (offer ends August 31, 2010). Contact me for more information! 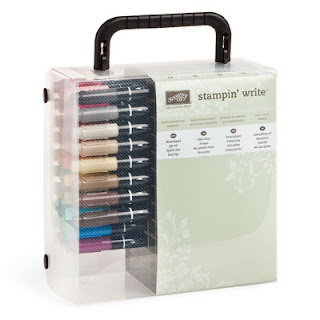 Stampin' Supplies list for the new catalogue! 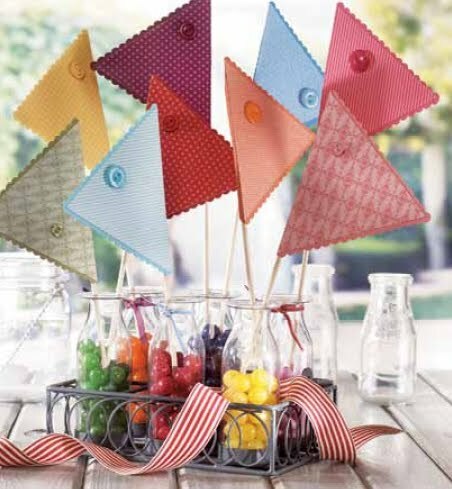 Be sure to bookmark this super helpful link: 2010–2011 Idea Book & Catalogue Supplies -- this 28 page document will help you find all the supplies you need to make any of the beautiful projects featured in the Idea Book & Catalogue. Feel free to print it out and tuck it in the back of your catty for easy reference! 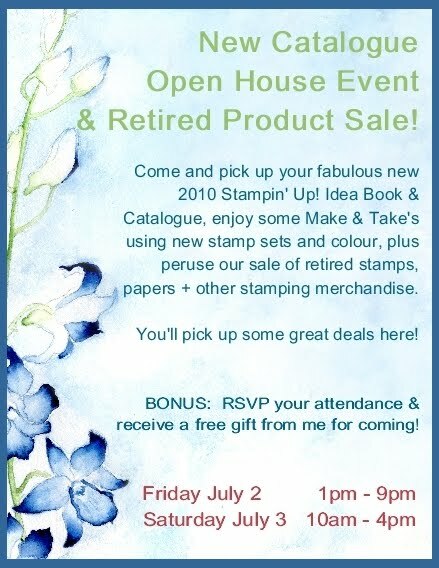 Calling all former Canadian Stampin' Up! Demonstrators! There's a brand new promotion where all FORMER SU demos can rejoin in July... for only $45 CDN!!! If you want more information, please contact me and I'll send you the new forms! Sign up through me with this special promo and receive my special New Colours cardstock sampler pack, perfect to get you started with all of Stampin' Up! 's fabulous new core colour line + the new 2010 In Colours! Celebrate with a NEW Catalogue! Start off July with a fabulous NEW Stampin' Up! catalogue... contact me to learn how to receive yours or stop by at my Open House event this weekend to pick one up. In the meantime, download the .pdf if you want to check it out now. You'll see fabulous new stamp sets, colours, papers and accessories... so many gorgeous new stamping supplies and accessories. Be sure to also check out our great new RETRO-FIT COLOUR KITS, which help you get all of Stampin' Up! 's new colours (and just the colours you need) without the expense of replacing products you already have.